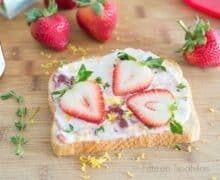 This fun Goat Cheese Toast has strawberries, lemon zest, and thyme, for a sweet and gourmet crunchy treat. Did you see the Poppy Seed Muffins with Raspberry Butter that I posted earlier this week? I just made more of them yesterday and am eating one as I type. They’re so good! Reason #1. I knew we’d be tasting all of each other’s recipes that we made for our second Land O’Lakes Kitchen Conversations post. 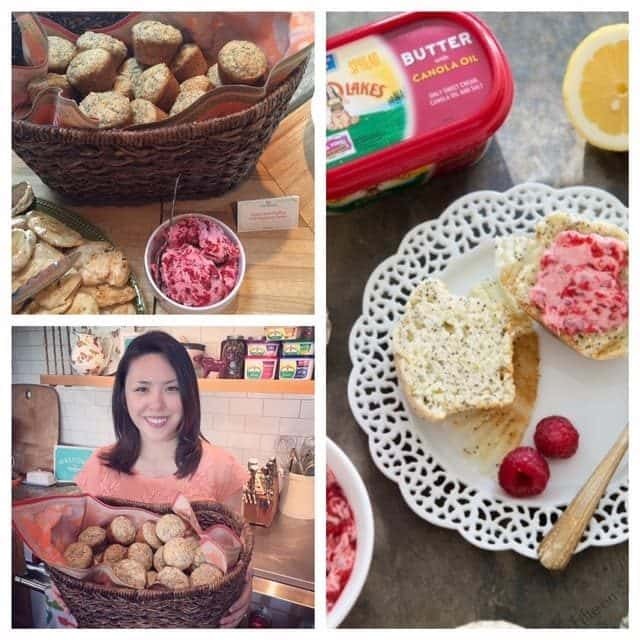 Here was my enormous basket of Poppy Seed Muffins with Raspberry Butter! 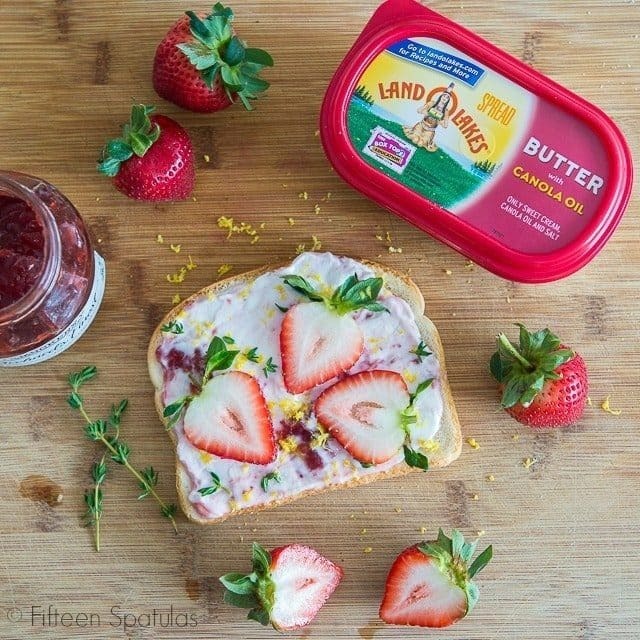 I called mine Classy Toast (because I don’t know, it just felt classy), and at the ranch it was honey butter spread toast with raspberry preserve swirled goat cheese, fresh lemon zest, thinly sliced strawberries, and thyme leaves. (My at-home version, which you see below, used strawberry preserves instead of raspberry, since that’s what I had). I’ll share the recipe for my toast at the end, and you can also check out Brenda’s awesome Grilled Asparagus and Red Pepper Toast here (which won the savory category). Reason #3. 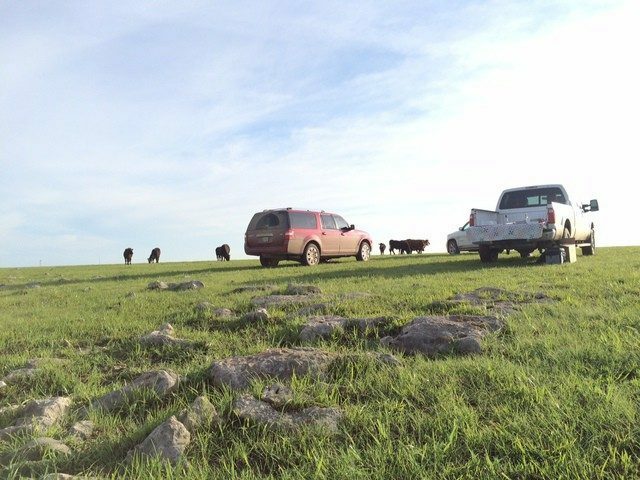 Gorgeous nature and open space! You guys, living in New York City has done weird things to me. I forgot how QUIET it can be in other places. It’s never quiet in NYC, and I’m used to it. You hear sirens all night, and they don’t wake me up or bother me. 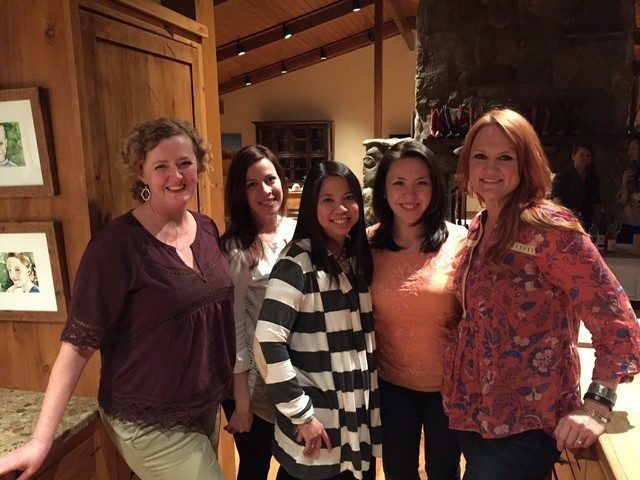 Ree’s ranch was just the peaceful place I needed to enjoy with my blogging friends! 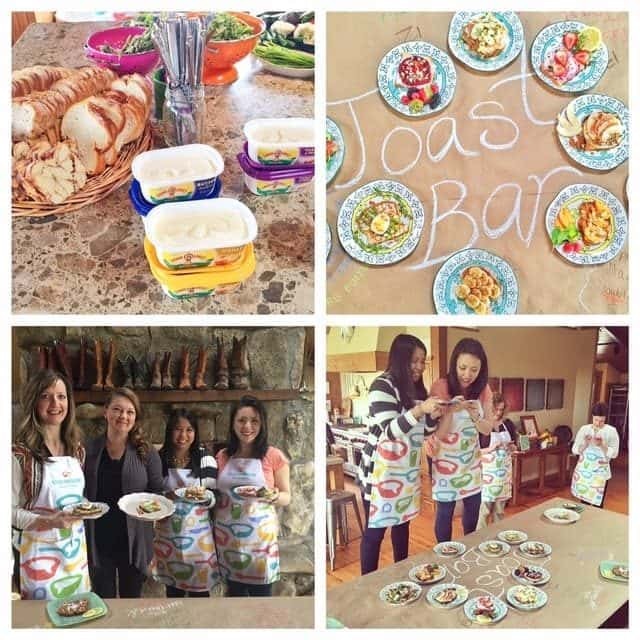 Land O’Lakes shared the news with us that they’ve launched European Style butter (!!! 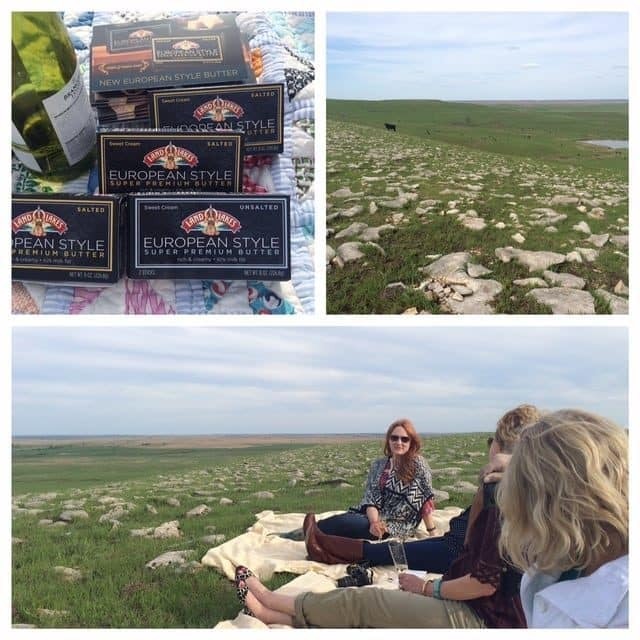 ), so we ate that with some snacks and wine, enjoyed the view, and just talked. Reason #4. There is always ridiculous amounts of kindness on these trips, from everybody. 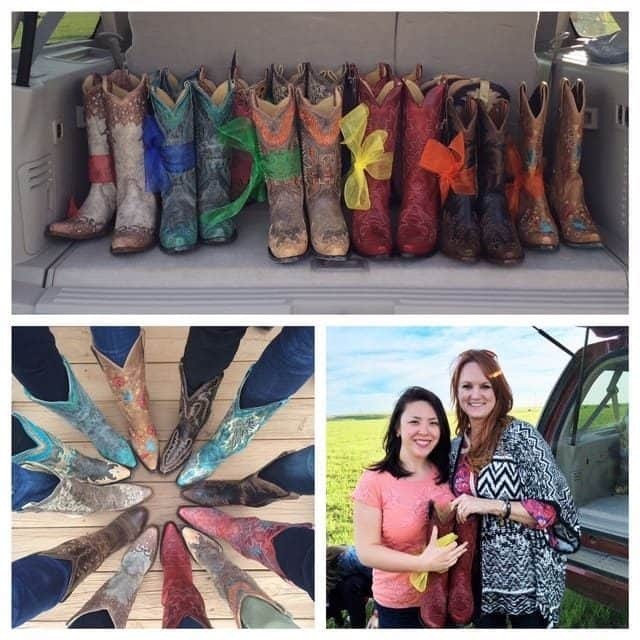 After the picnic, Ree told us she had a surprise and opened up a trunk full of cowgirl boots that she picked out for all of us! 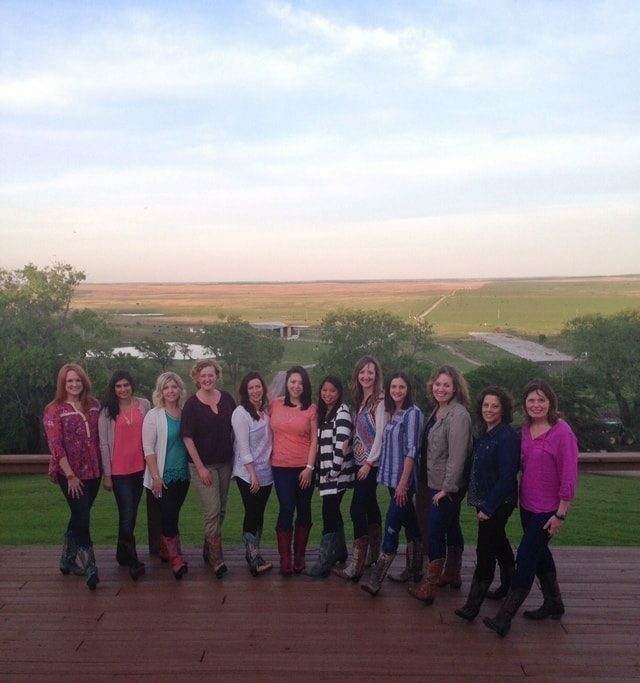 The boots Ree picked for everyone were totally spot on, and I’m in love with my red cowgirl boots (up front with the yellow ribbon). These streets have become my cowgirl boot runway. Or so I’ve decided. They’re so fun. Thank you Ree!!! And finally, Reason #5. Amazing sunrises at the start of every day! Something about sunrises and sunsets just makes your soul feel amazing. 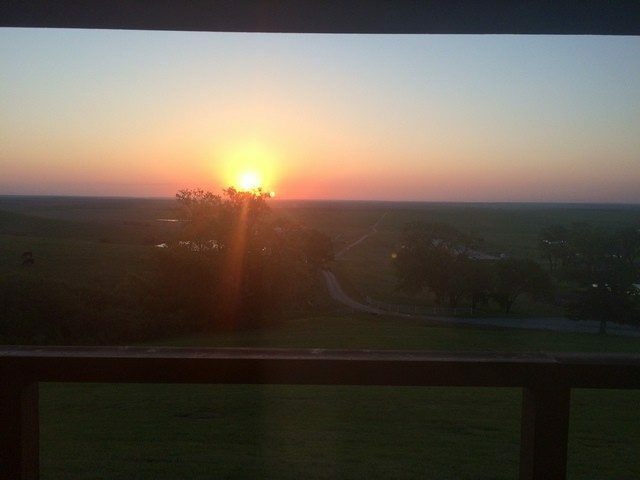 The sunrises at Ree’s ranch were gorgeous, and made me appreciate the time I spent there. Thank you Ree and Land O’Lakes! Thanks for recapping my trip with me, and here’s the “recipe” for my Classy Toast. I hope you have it for breakfast one of these days! 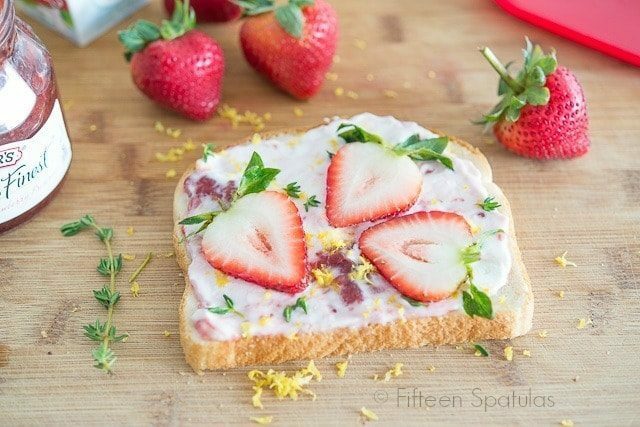 This fun toast has goat cheese, strawberries, lemon zest, and thyme, for a sweet and gourmet crunchy treat. Spread the toasted bread with the spreadable butter. In a small bowl, swirl together the goat cheese and preserves, then spread onto the toast. Sprinkle on the lemon zest, then add the leaves from the sprig of thyme. Add sliced strawberries on top. Disclosure: I was not commissioned to write this post by Land O’Lakes, but I am working with them this year. I just wanted to share my trip with you! All opinions are always my own. This sounds so fun! I’d like to know where to purchase the turquoise/gray cowboy (cowgirl?) boots with the blue ribbon. Do you know? Thank you! This trip sounds remarkable. I love Ree.I can only amagine waking and going to sleep to such a view. Will try your spread. Keep blogging. I have a thing for fancy toasts and this looks great!